Ancon is pleased to announce the launch of the Staifix QuickStart wall starter system. This latest product launch comes just 10 weeks after Ancon was awarded the 2012 Queen’s Award for Innovation, in recognition of their active product development programme. The QuickStart system includes all the wall ties and fixings needed to join a new wall to existing brickwork. 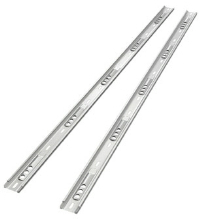 The wall ties are integral to the stainless steel starter strip and fold out at pre-set 225mm vertical centres. When compared with wall starters that have separate wall ties, this system accelerates build speed and helps installers maintain an accurate brick / block gauge; there are less components to misplace on site and the reduction in material content offers attractive environmental and cost saving benefits, without compromising performance. Divisional Manager, Andrew Lilley, says “Ancon regularly launches new and improved products, and earlier this year we were honoured with a Queen’s Award for Enterprise. This award recognises outstanding innovation and commercial success, which confirms that we develop products end users want to buy. Our distributors can be confident that a new Ancon product offers an excellent sales opportunity”. Other products in the Staifix range from Ancon include cavity wall ties, screw-in starter ties, warm roof batten fixings and a crack stitching repair kit. Services offered to Staifix stockists include competitive pricing, product training, online product selectors and project referrals.